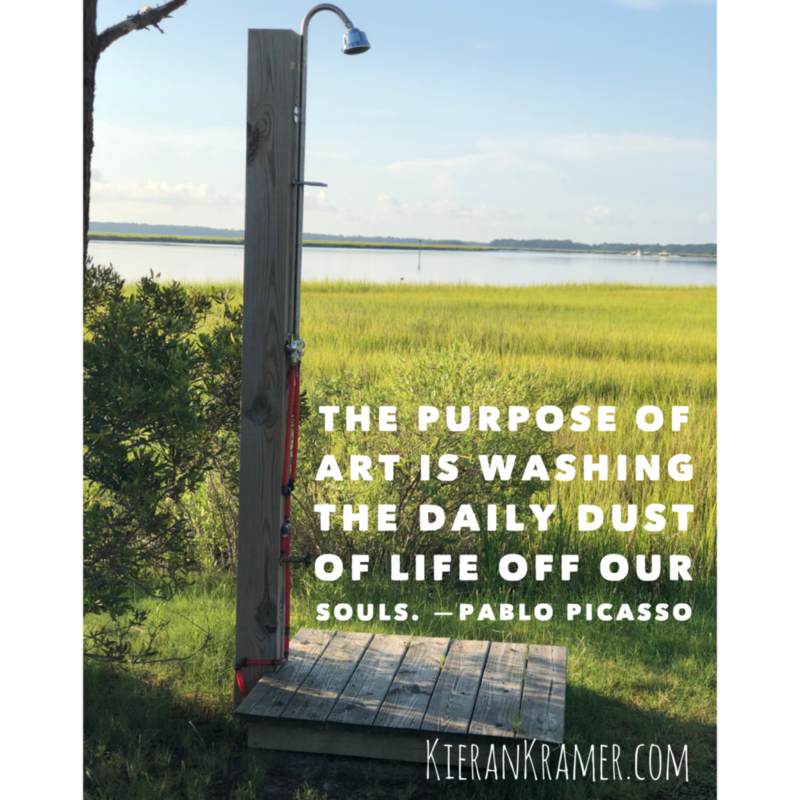 I kind of like the daily dust, so I’m trying to figure out what Picasso means here. I don’t think he’s saying reject the ordinary. I think it’s more like using the ordinary as a portal to the Really Real. Every day I walk by this outdoor shower with my mixed lab Striker. He gathers a lot of daily dust. Maybe someday I’ll put him under it! Meanwhile, as I accrue dust in my house, across my desk, and in the corners of my mind, I’ll think of Picasso’s quote. I use my life to inspire my writing. Those motes of dust floating before my memory matter. Maybe simply noting their existence and “washing” them away is what art kind of is. Note I said “kind of.” I’m not really sure. The best quotes provoke thought. And they don’t always provide easy answers. But somehow they make me feel more alive.